Alfred W. McCoy. 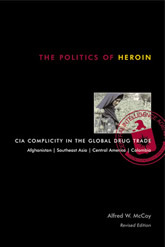 The Politics of Heroin: CIA Complicity in the Global Drug Trade. New York: Lawrence Hill Books, 2003.